Target multiple signs of aging at once with Super Peptide Serum from Good Molecules. This specially formulated blend of peptides and copper tripeptides helps to hydrate, brighten, and smooth for a healthy, youthful-looking glow. 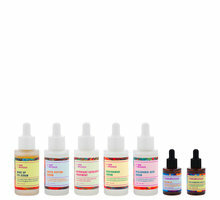 Apply a few drops in the morning and at night before oils, creams, and moisturizers. Let sit for 30 seconds before continuing with your routine. Suitable for daily use. I got this serum in my lucky bag this year and figured it might be worth a shot to add to my routine during this cold stretch we're going through which has been wreaking havoc on my combination skin. I actually really like this! It absorbs quickly without leaving a film behind and it does seem to smooth everything out nicely. I'm quite impressed and am happy to see a brand with quality products to compete with the Ordinary's pricepoint. I'm looking forward to trying more from Good Molecules. So far, so good. I received this in my lucky bag and my first impressions were that the peptides were higher up in the ingredient list than any other peptide product I've personally tried. I have been using it every day since I received it, and what I am noticing in just this short time is that my face appears a bit plumper and smoother. I have very fine wrinkles on my cheeks that are already starting to lessen - not sure if this product is firming it up or just providing relief for a very dehydrated area. It applies and absorbs easily, and as a bonus it smells wonderful. I'm very excited to see the full line, and am looking forward to trying a few other products. I got this in my lucky bag and did not have much information about it but decided to try it. I use it morning and night. The scent is wonderful and it soaks in very quickly without feeling sticky or leaving a film on my skin. Can’t wait to try more from this range! I got this in my lucky bag also and I really like it. It does dry quickly and not greasy at all. It also feels like I don’t have anything on my face which is good because I don’t really put much on my face besides moisturizer and sunscreen. I also used it without moisturizer a few times and my face was not dried out at all. 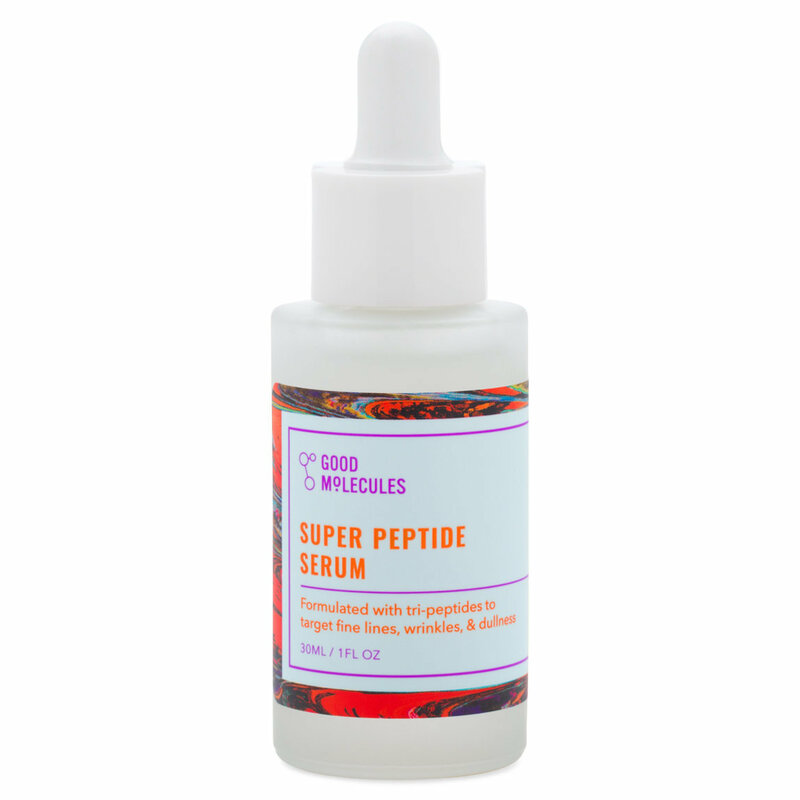 I love this super peptide serum and can’t wait to try the other products from the Good Molecules, the price also helps with the buying decisions. I got this as a part of my Jeffree Star Lucky Bag and I am in love with this product! It's lightweight, fast absorbing, and it doesn't leave a weird film after absorbing. It says that it's fragrance free, but I swear there's a really light, but incredibly pleasant, citrus type scent. Lemongrass would be as close to the scent as I could guess. As for how it makes my skin look and feel... my fine lines have diminished around my eyes and even my smile lines are softer. I got this in my lucky bag and I was excited to try it since I was looking for something new to add to my routine. This product has made my skin smoother softer more hydrated and even. I can’t wait to try more and I will definitely be repurchasing this. I was not familiar with this brand and I was scared that it was a super expensive product. Not at all! It’s probably one of the most affordable products that I have used in a long time that actually does something noticeable to my skin. 1) Absorbs quickly 2) does not feel heavily 3) did not clog up my pores. I put this on over night and in the morning my eyes looked less tired and the fine Laugh lines looked reduced. I would rate my skin sensitive and this product did not have any negative fall out. This serum was the happiest surprise in my Lucky Bag. I have combo to oily skin, I’m in my mid 30’s, and I’m starting to have some fine lines and loss of elasticity in my skin. This product works incredibly for me. It provides hydration and my skin seems more plump after a few weeks of use. The results on my skin were so striking that I’ve also stated using it on my under eyes, without irritation. It dries quickly, doesn’t leave a sticky or shiny finish, and layers beautifully under makeup. In summer, this may provide enough moisture on its own for my skin type. I’ll be repurchasing this one for sure! The peptides in this formula are quite high on the ingredient list, so I was expecting hydrated, plump, and smooth skin after using this serum. I haven't been let down yet! This is incredibly hydrating and lightweight, and it absorbs really quickly with no weird film or stickiness left behind. There is a very subtle fragrance (almost like Fruity Pebbles maybe) that must be the bergamot oil, but I have not had any issues with irritation even though I'm usually pretty sensitive to essential oils and scents. I have used this in the evenings after the Overnight Exfoliating Treatment and I have to say that have noticed that my skin looks brighter, smoother, and more well rested in the morning. The peptides in this formula are supposed to smooth the skin, as well as help with collagen and elastin production so I expect that I'll see even better results over time!